It’s easy for Ernesto Dos Santos to freeze frame the turning point in his life and career. It was the day a representative from the Dominican Jazz Festival viewed his black and white photos exhibited in his hometown of Havana, Cuba. “She liked my series of photographs featuring jazz musicians. 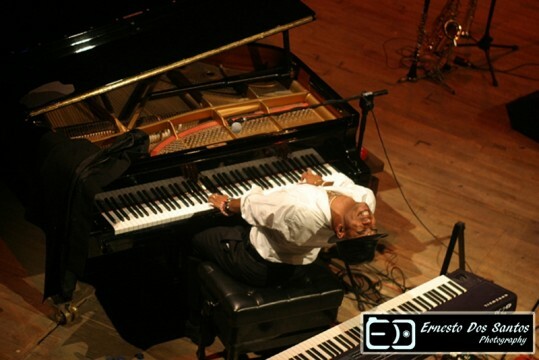 I was invited to show my work at the Dominican Jazz Festival in 2003. Since then, photography has been my life, “ Dos Santos said. Dos Santos’ success in Cuba continued in the Dominican Republic. Members of the Jazz Gallery in New York, who were attending a show in Dominican city of Puerto Plata, requested that the fledgling photographer present his exposition over a two-year period in the Big Apple. “In 2003, everything about photography started to click for me. Even though I knew no one there, I moved to Punta Cana. I began building my business from scratch and living my dream,” Dos Santos recalled. Jazz photography was Dos Santos’ passion, but he spread his photographic wings into other more lucrative niches. “I was also a scuba instructor and began taking underwater photographs. One of the divers in my scuba group offered to pay for the photos that he liked. It occurred to me that maybe I was on to something with underwater photography,” Dos Santos said with his ever-present smile. About the same time Dos Santos moved to his new city located at the southeastern tip of the Dominican, the area began to take off as a tourist destination. 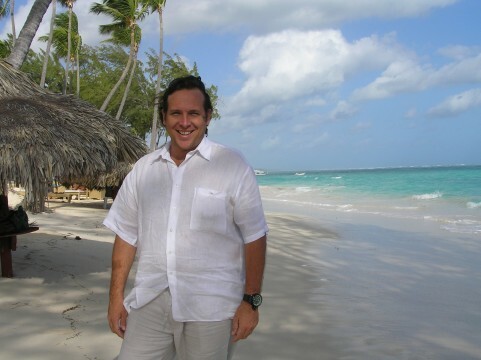 Dos Santos ran with Punta Cana’s economic surge by taking photographs of new beachfront hotels, as well as residential and commercial real estate. 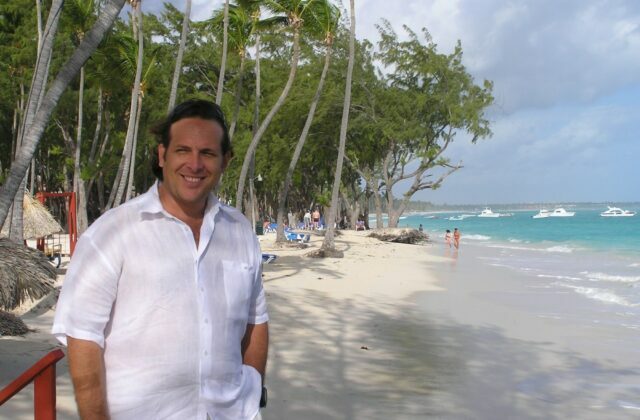 Dos Santos married a Dominican native and began planting deep roots in the Punta Cana community. A steadfast photographic work ethic helped establish Dos Santos’ reputation with international players looking to gain a foothold in one of the Caribbean’s newest vacation playgrounds. The Havana native learned early on that he could separate himself from his competition by staying open to new opportunities and being attentive to his audience’s needs. The Caribbean is known for its laid back ambiance and operating on a clock that can be minutes, if not hours behind. Island time doesn’t always play well when budgets and deadlines are strained. Dos Santos prides himself in being punctual. His professional standards and warm, bilingual demeanor proved the perfect formula when the golf industry discovered Punta Cana. Over the past decade, designers like Nicklaus, Dye, Fazio, and Faldo built world-class courses along Punta Cana’s coastline. Dos Santos added golf to his repertoire and his credits include working as a photojournalist at the PGA Champions Tour Event at Cap Cana. Dos Santos compares golf to the precise photography work he did in ballet back in Havana. For Dos Santos, preparation is the key to success in any endeavor. “Beforehand, you need to prepare. I would study the ballet. If you don’t shoot the exact shot that everyone is anticipating, no one will want your photo. Whether in ballet or golf, you need to know the performance to shoot the best photograph,” Dos Santos said. This 41-year old father of two has a gift for putting strangers at ease. Spend even a few minutes with Dos Santos and you feel like you’re in the presence of a friend. This innate ability is especially important when Dos Santos’ clients are a couple who have chosen Punta Cana as the place to hold their wedding. Dos Santos doesn’t believe in showing up a few minutes before a wedding. “I meet with the couple long before the wedding starts. I want to involve them in the photography process. I want them completely at ease. That’s when the best photographs occur. I need to know what they do and don’t want. Nothing is more satisfying than seeing smiles on their faces,” Dos Santos said. The award-winning photographer noted that relocating from his Havana home to Punta Cana wasn’t easy, but he treasures the life lessons that come from starting anew. “You fall down, you get up. That’s one of the best rules in my life. Never give up,” Dos Santos said.